Know how to recognise a drinking problem, and how to talk about it. Seeing your children graduate and head off on their next adventure – whether that is university, a gap year or starting out in the workforce is an exciting time. They’re spreading their wings, meeting new people, discovering the world….and alcohol. 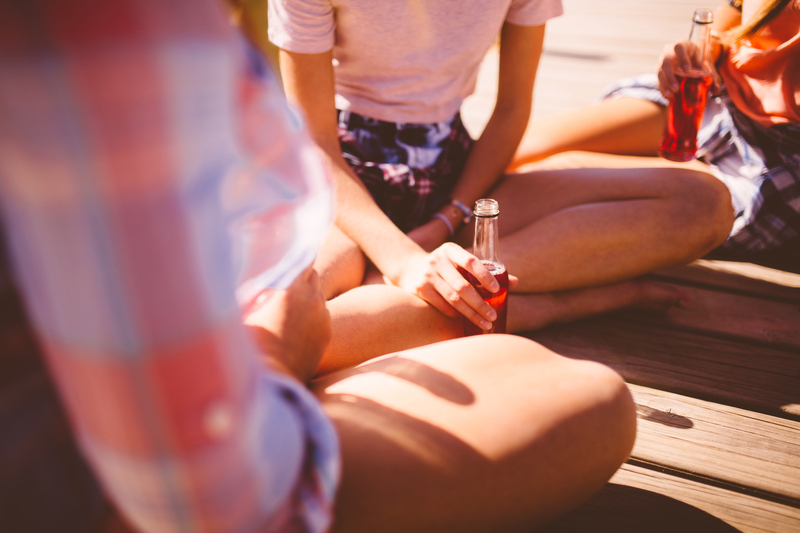 Binge drinking is a common problem in Australia, and young adults tend to be more at risk. Maybe it’s the newfound freedom, the fact they don’t quite know their limits yet or the need for some false confidence when searching for romance. Whatever the reason, it can be difficult to know when drinking is a problem, and what to do about it. Read on to find out. An Australian Institute of Health and Welfare report on drinking trends in Australia found that 18-24 year olds were more likely to drink at risky levels than any other age group. Almost half (47%) reported drinking more than four drinks in one sitting on a monthly basis, and around one third (33%) reported drinking 11 or more standard drinks on a single occasion. MORE: Which state consumes the most alcohol? In comparison, the Australian guidelines advise drinking no more than two drinks a day to avoid alcohol-related disease and injury over the long term, and no more than four standard drinks in a single sitting to avoid alcohol-related injury. So, it's not unusual for young people to drink more than the recommended guidelines. But when is it a serious problem? Even if your child is drinking more than they should, it doesn’t necessarily mean they have developed a drinking problem. Alcohol dependence, also known as alcohol addiction or alcoholism, means you have a physical or mental dependence on alcohol, and experience withdrawal symptoms when you stop drinking. Regularly staying out late and encouraging friends to keep drinking when they’ve said they want to go home. Needing to drink more and more alcohol to get drunk. Can you do anything about your adult child’s drinking? Get the tone right: Try to make it a conversation, rather than a lecture, and avoid sounding like you’re accusing them. Stay calm and keep it respectful. Ask questions: Let them talk. Ask them how alcohol makes them feel, and whether they think they have a problem. Do it when they’re sober: It might be tempting to have the conversation there and then, but the outcome is usually much better if they’re not affected by alcohol. Remember that they are adults and you can’t solve the problem for them. Real, long-term change only happens when they acknowledge the problem and make the decision to deal with it. If your child decides they need help, there are lots of support services out there. A good place to start is with your GP, but there are also lots of free phone and online services that provide information and support. And remember to look after yourself – dealing with an alcohol or drug problem can be difficult and stressful for the whole family. Make time to do things you enjoy, speak with friends or family about what you're going through or get in touch with a family support service. Interested in how alcohol affects your brain in your 20s and 30s? Visit Medibank.com.au/Adulting for more on the health issues facing young Australians.